When her mum falls into a coma after having a baby, Ella is left to cope with her well-meaning but shambolic stepdad – and a tiny newborn brother, Samson. Her only respite from all her worries is her school project about whales and the mighty songs they sing. Ella is fascinated by whale song, when whales call out to each other in underwater love songs. And the amazing story of one whale who sang non-stop for twenty-two hours gives her an idea. Could a whale’s song somehow reach Mum and show her how much Ella cares? Might it help to bring Mum back to Ella and little Samson once again? A tender and moving story of hope in hard times, written in the classic Jacky mould. This book disappointingly I thought was a very bad. I did not enjoy this book. Very exiting but not for ages under 8 as it contains things that are un-appropriate. I’ve read this book sometimes it makes me laugh out loud though sometimes its very sad and emotional i recommend the book to someone who isn’t very sensitive as it may upset those who are! This emotional story will be sure to make you feel heavy hearted inside, make sure you have your cleanex tissues ready! This is such a sad book but at the same time is so vivid. The way it is written makes you feel as if your right there with Ella. 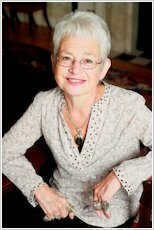 I don’t know how Jacqueline Wilson does it but I’d love to find out! I adore it. This book is really sad but i liked it alot. I was crying through half of it. 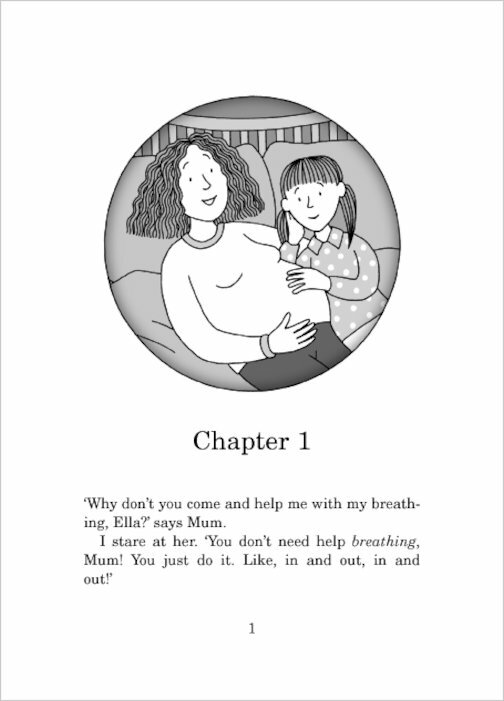 After Ella’s mum goes in a coma after giving birth,Ella turns fascinated at her school project about whale songs. She somehow feels as if the whale song can connect with her mum?.. Ella’s mum falls in to a coma. Ella is left with her unliked stepdad and her baby brother Samson. She does a school project on whales and is worried she won’t finish on time. Will a whale song be enough to wake her mum up out of her coma. Very touching and heart rending. I loved this book. it was touching and I wish there was a follow on book. It’s such a brilliant book. A must read:)!!! I love this book, it is amazing!!!!!!!! I absolutely loved this book I couldn’t put it down . It’s defiantly one of my favourite books . This is about a girl called Ella who’s mums in a coma. it is really sad when she thinks she has no one apart from her mum but her mum wont wake up. it was lovely when she started to love her baby brother. 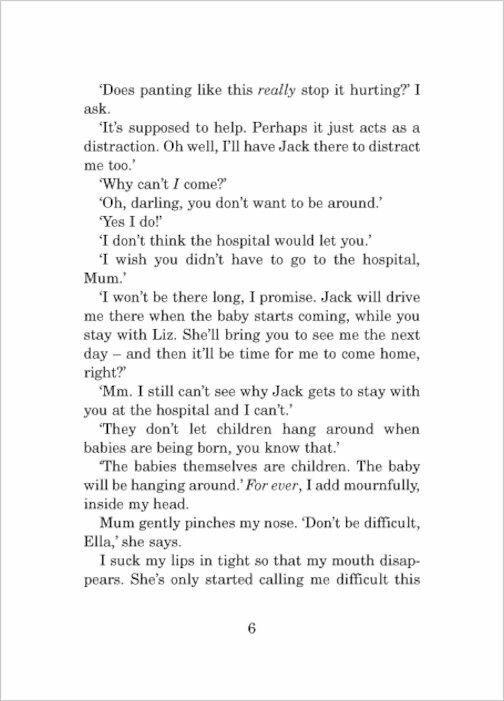 it is a really touching book because some other kids have the same problem when their parents wont wake up to. This book is great. But also very sad, when Ella’s mum has a baby and then is in a coma. Ella desperately worries about her. Poor old Ella is also having to cope with living with her mums new boyfriend Jack, who she doesn’t like. Will Ella’s mum come out of her coma or will this become a tragedy never to forget. I would probably recommend this to 10+ year olds. This is one of the best books I have ever read it was really fantastic!! I really enjoyed the book and it was so fun to read everyday. I was really sad when I finished too! If you havent read it you have to! The Longest Whale Song is a pretty good book but some of the parts, I got a little bored at. It isn’t one of my favourite books but it’s still really good. This book is excellent. I liked it because it relates to real life and all the twists and turn in our life. It really makes you think what would you do if you were in the same situation as Ella. I would give a like or 4 stars to this book. It was sad because Ella’s mum was in a coma. This book is definitely thumbs up!! A really touching book; always makes me cry. im almost finished this book but like it so far. This book is my second good book. 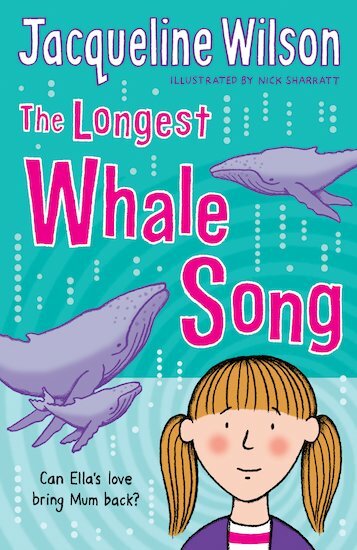 I love The Longest Whale song, its defiantly not like any other jw books where the characters are very loud and dramatic like Tracy Beaker. This book is sad and heart touching which really draws you, as the reader, into the story and put yourself in ella’s shoes and what its like to be her. I would recommend this book to anyone who likes a sad story. I LOVE ,love, love this book !! This is my favorite book of all time !!! Loved this story about Ella’s mother. Very touching! This is the best book EVER written!!! 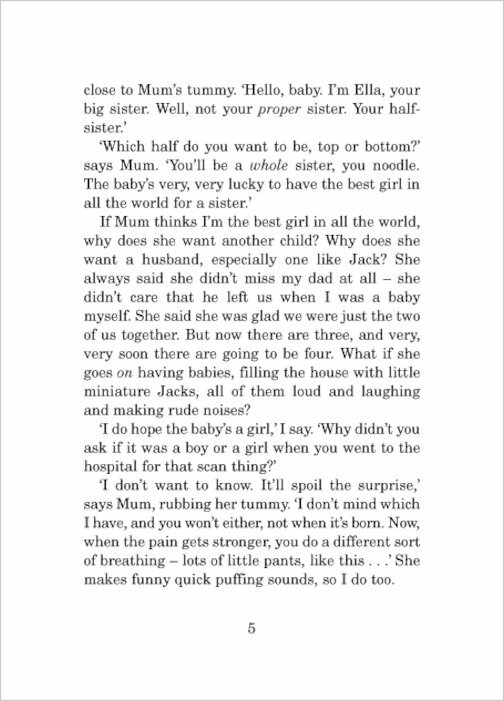 Its a good tale, it shows children its better to have fussy mums than none at all.I say give your mum a great big hug. This book is brilliant i would advise anyone to read it!! An amazing book!! Didn’t want to put it down! Took long to finish because of school but along came the holidays and weekends and soon completed it!! Amazing, definetly reccommended! This book was fantastic, i finsihed it in 2 days. I couldn’t put it down! I would definatly recomend this to all types of readers! I thought it was great all the way through but the thing that spoilt it for me was that the ending seemed a little bit rushed!!! !